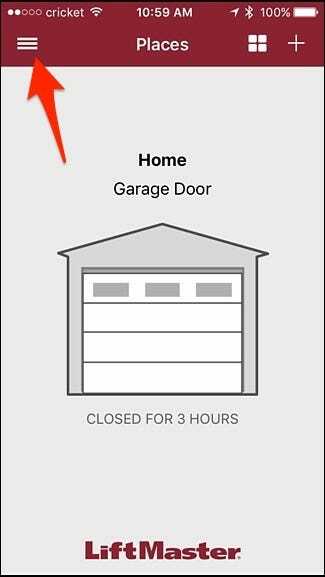 If you ever forget to close your garage door at the end of the day, you can set up a specific time for your MyQ-enabled garage door to close automatically. 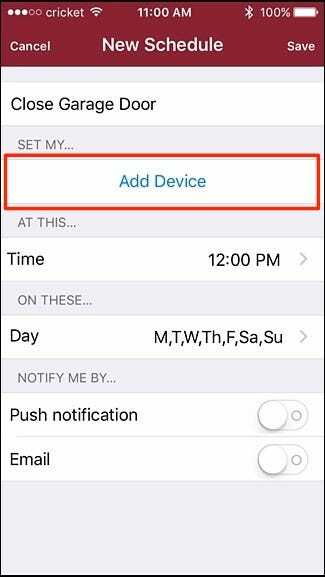 Here’s how to set it up within the MyQ app. 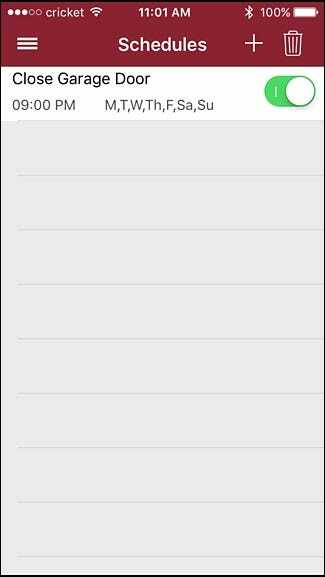 To start, open up the MyQ app on your phone and tap on the menu button in the top-left corner of the screen. Tap on the plus icon in the top-right corner. 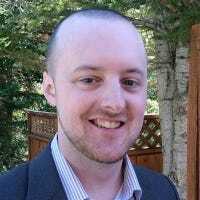 Start off giving the schedule a name by tapping on “Name Schedule”. 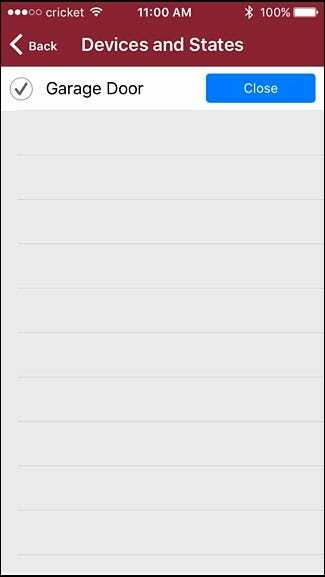 Next, tap on “Add Device”. Tap on your garage door to select it and then hit the back button in the top-left corner. Next, tap on “Time” to set a time that your garage door will automatically close. 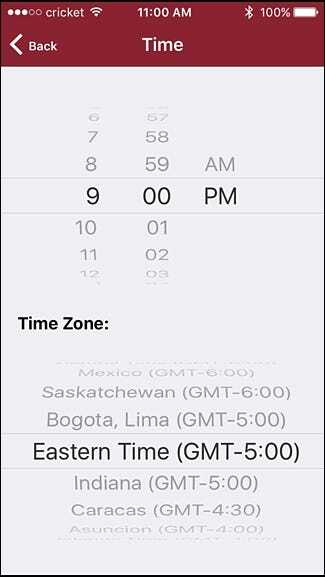 Select a time and then confirm your time zone at the bottom. Hit the back button in the top-left corner when you’re done. 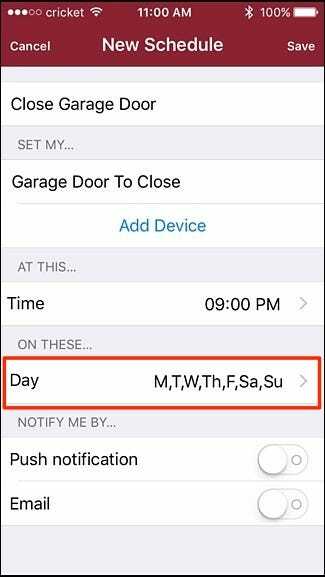 After that, select “Day” to set which days your garage door will automatically close at the time you specified. 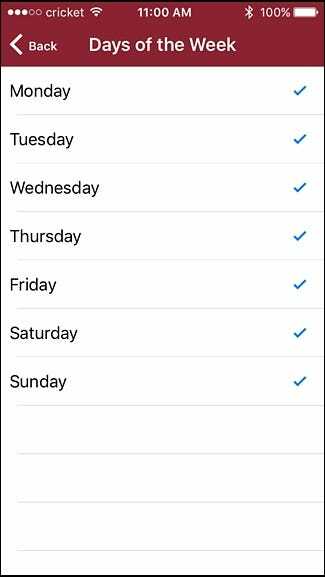 By default, all seven days will be selected, but you can pick and choose whichever days you want to use. Hit the back button when you’re done. 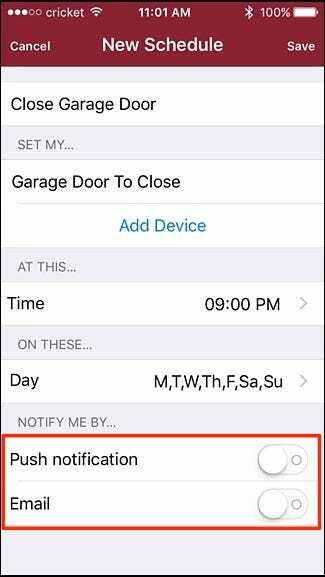 Next, you have the option of receiving a notification whenever your garage door automatically closes, either via a push notification on your phone or through email. 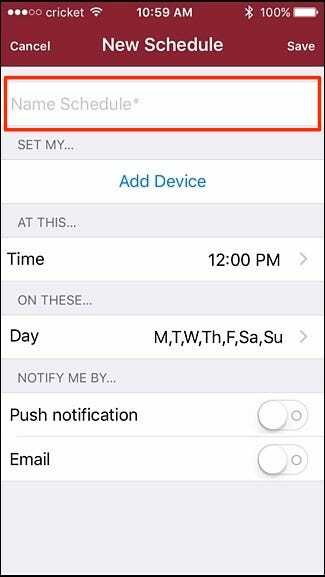 Hit “Save” in the top-right corner to create your new schedule. 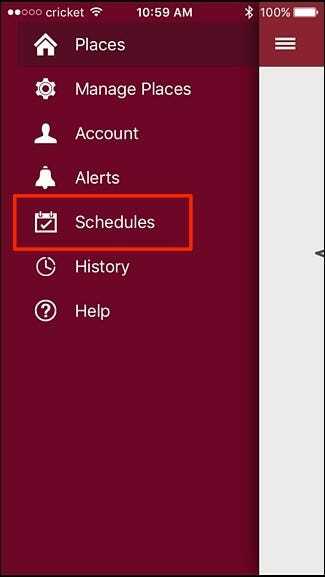 The schedule will appear on the main list on the “Schedules” screen, which is where you can temporarily disable and re-enable it at any time by tapping on the toggle switch to the right. 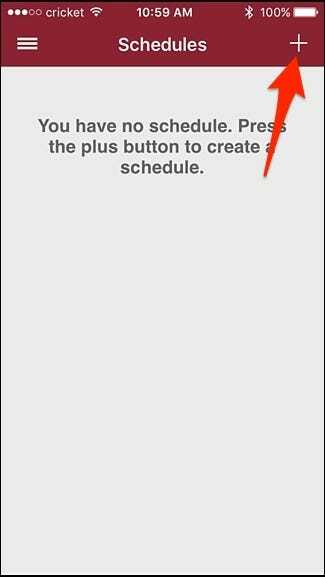 If you ever want to delete a schedule, simply swipe it to the left and hit the red “Delete” button. 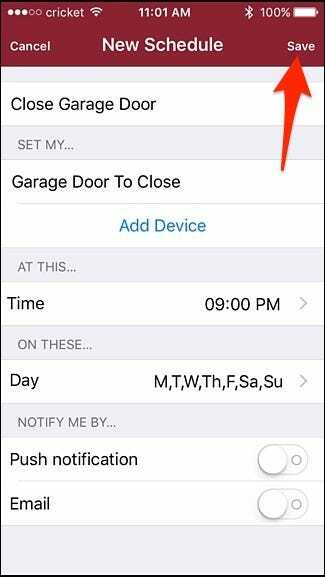 You can either rely on this schedule and have your garage door automatically close at night, or you can simply use it as a backup in case you ever forget to close the garage door at the end of the day—if your garage door is already closed, the app will recognize that and will skip the automatic closure. Either way, you’ll never have to deal with an accidental open garage door ever again.